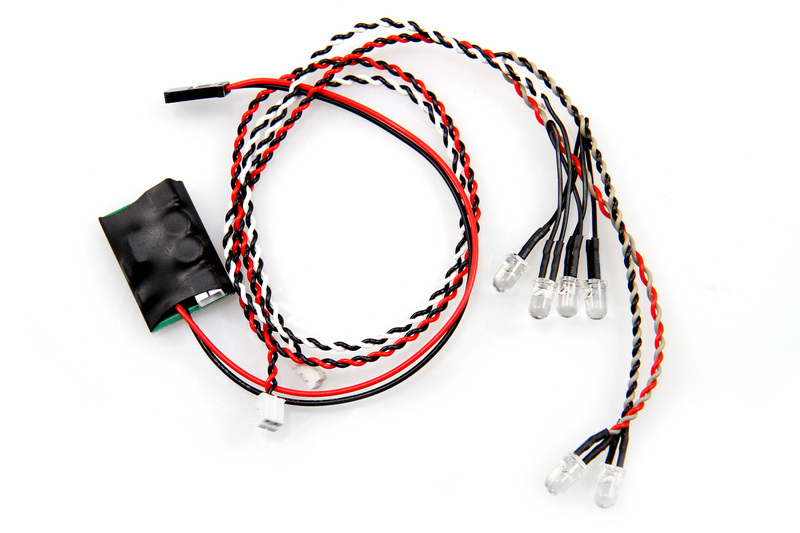 This Simple LED Controller includes 4 bright white LED's, AX24258, and 2 bright red LED's, AX24253. • Compact size for limited space areas. • Excellent for use as a rock light system. Nice setup to hook up led lights on my Deadbolt. Not limited to just Axial products, will work nicely with any RC vehicle.